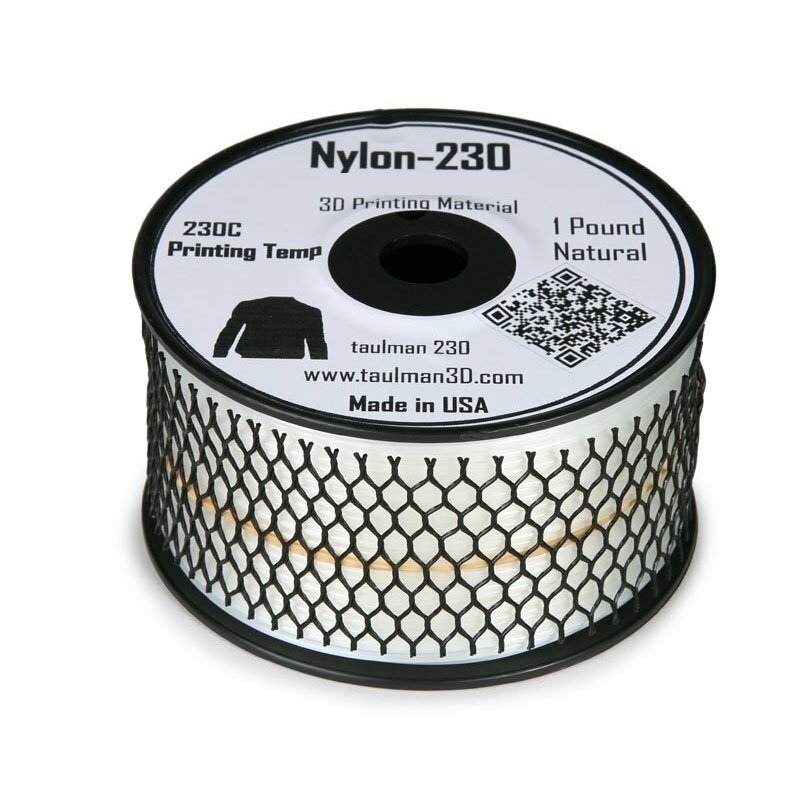 Nylon 230 is the solution to easily print nylon, it doesn’t require a heating plate for printing, and prints at 230°C without any extrusion problems. 450g spool. 29,90 € Tax incl. 24,92 € Tax excl. Nylon Taulman 230 is the first nylon that can be printed at low temperature around 230°C and without requiring a heating plate. Slightly less solid than 618 or 645 nylon, this nylon is strong and durable over time. Nylon 230 is also resistant to chemicals, in fact it’s an excellent candidate for producing functional parts. 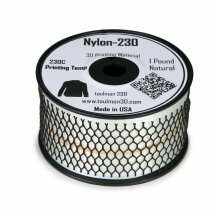 Nylon 230 is the easiest nylon to print in the whole Taulman3D range.